Amongst all technology tools businesses use to grow themselves and provide value to the end-user, Augmented Reality is slowly catching up with its peer technologies. In industries as diverse as auto and apparel retailers, AR has boosted the way customers experience products. 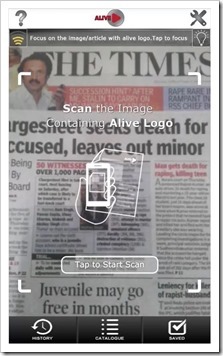 Augmented Reality is defined as a live, direct or indirect, view of a physical, real-world environment whose elements are augmented (or supplemented) by computer-generated sensory input such as sound, video, graphics or GPS data. In layman terms, AR allows for a digitally enhanced view of the real world. And some of the most loyal users are E-Retailers! The main concept of Augmented Reality is to superimpose graphics, audio or any other sense enhancements in a real-time manner. The technology incorporates three components which include head-mounted display, tracking system and mobile computing power into one unit. 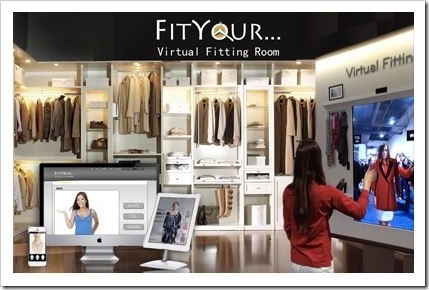 If you remember, Fitiquette, another startup which was had created a virtual fitting room platform, was acquired by Lifestyle online store Myntra. Other sectors actively using this technology are the automotive and media sector. Adstuck Consulting, a four-year-old startup in Delhi designed an app for Maruti Suzuki to promote its Alto 800 model last year. This allowed a user to sift through videos, book a test drive and talk about the model on social media. “We ran a month-long campaign and the returns were better than any other medium or mode,” said Abhishek Pandey, media manager at Maruti. And its not just the hype, there is money too. Adstuck Consulting earned revenue of 10 crore in fiscal 2013. The best use of this technology is waiting to happen in the sector which is any country’s backbone – the educational sector. Hi-Tech Institute of Engineering & Technology based in Ghaziabad is also in talks with Adstuck to bring the same technology to schools. Viewing the lab equipments around you and seeing the way it functions, any student who has an aversion to studies would be left mesmerized by the way it is shown! With the way technology is growing by leaps and bounds, the customer is surely getting pampered to no end, right? Turn Any Laptop into a Touch Screen Laptop With AirBar Magic; Now Available in India! Facebook Wants You To Type With Your Brain, Listen With Your Skin!